For the first time ever the Appleby family has entered a few items into a country show! Burniston is a small village north of Scarborough which holds it’s country fair every August bank holiday. This is its 120th year so it’s been going for a while. 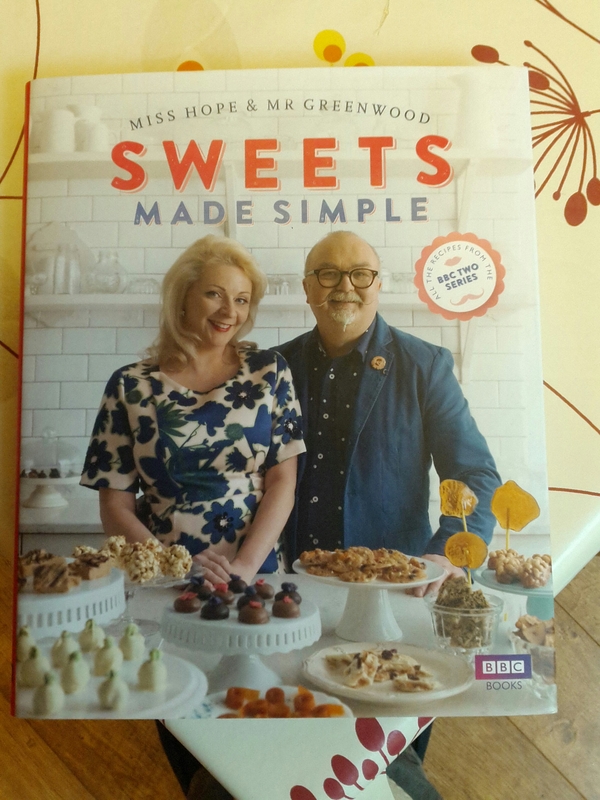 For Christmas I got the book Sweets Made Simple that goes with the BBC TV series. 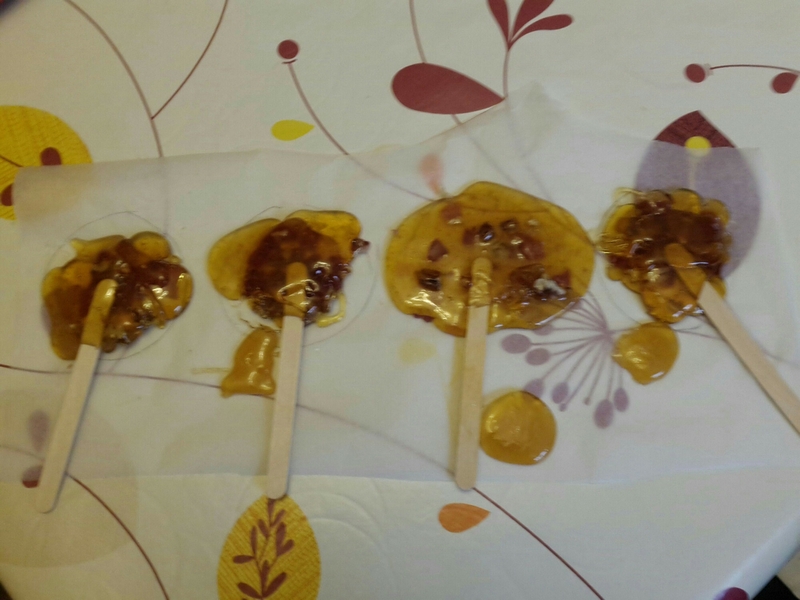 I’ve finally got round to making something and for my first sweets it had to be the Maple Syrup, Pecan & Bacon Lollies! The lollies were quite easy to make (grill some bacon; heat up sugar, golden & maple syrups; poor onto bits of bacon and pecan; stick in a lolly stick) although I did have a bit of trouble getting the last one off the spoon because the mix had started to set. I had to put the mixture back on the hob for a few minutes to re-melt it. They aren’t very even shapes but that’s OK because if you look at the front cover of the book you will see that theirs aren’t either. And most importantly they tasted pretty good. 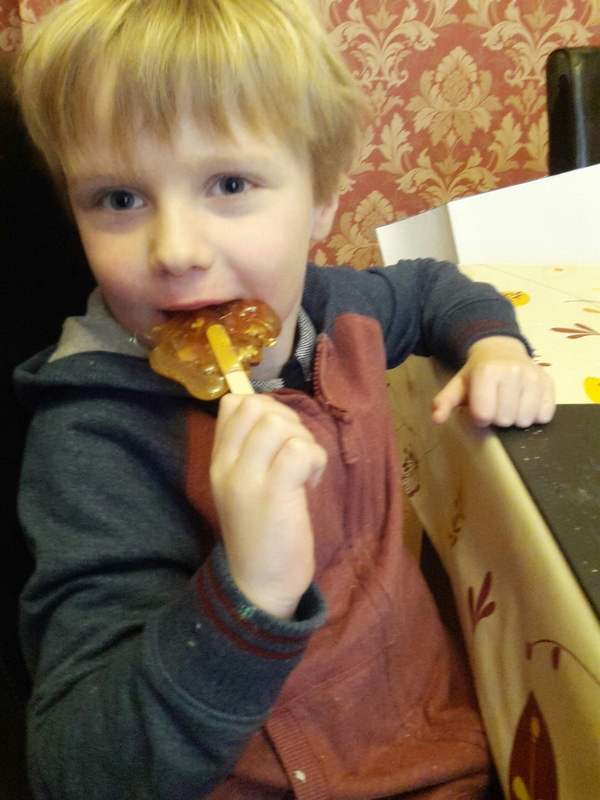 Corrine was the only one who wasn’t sure about the maple/bacon combo – even Bryn liked them, until he bit his with a wobbly tooth and made it bleed (the tooth not the lolly). Not the usual thing we blog but it occurred to us that we do dabble a lot in the kitchen so why not put some pictures of our baking? 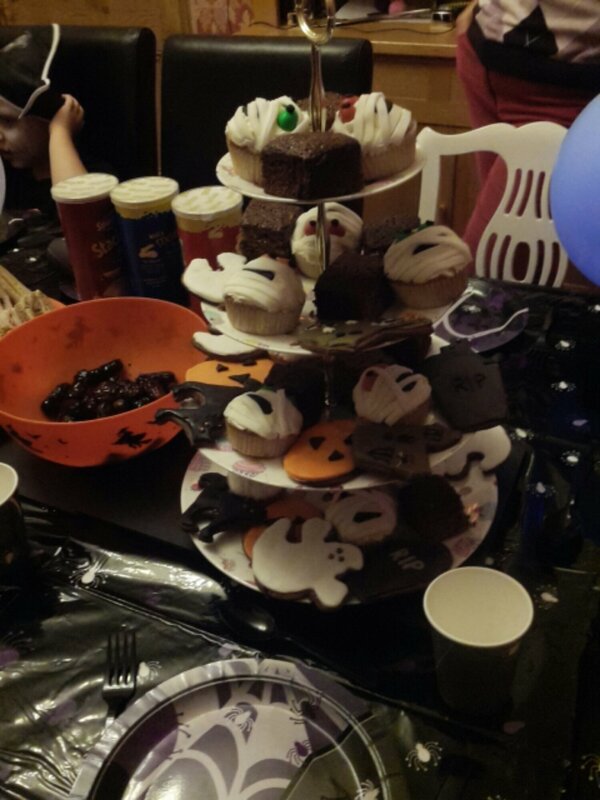 We had a mini Halloween party on Thursday and we spent forever preparing food that hardly anybody ate. 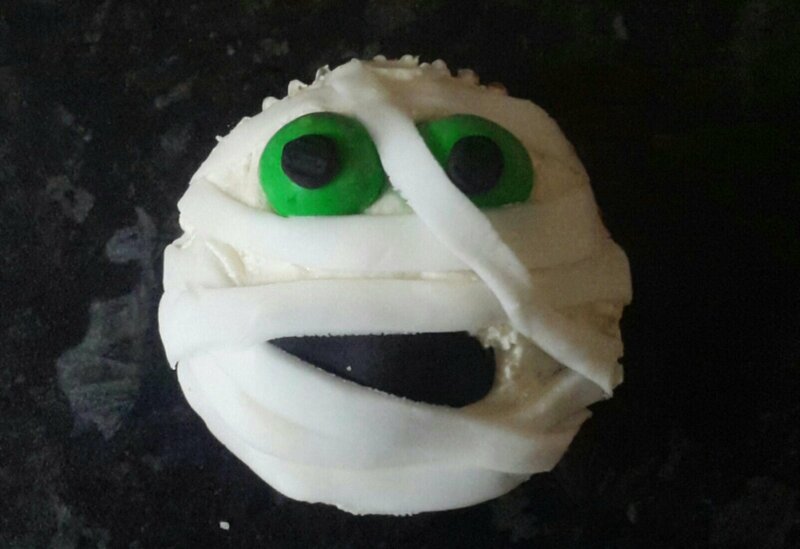 This is the last mummy bun and he’s looking a little worse for wear. Bethan and Bryn made the cakes and I decorated them. 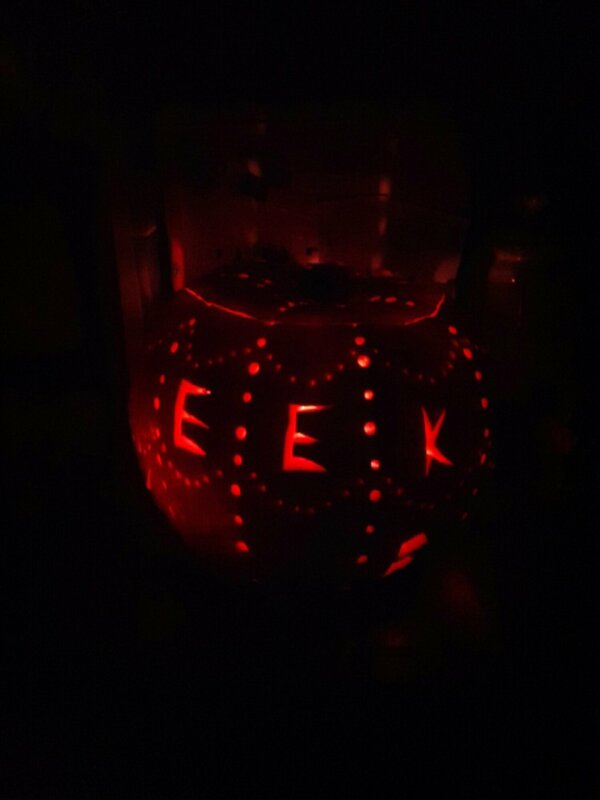 The bit that took the longest was trying to make tiny black icing circles for the eyes. Paul also made some proper Yorkshire parkin and I also made some gingerbread biscuits that were iced.